For a round of resort cleaning, renovation cleaning in Quinns Rock, builder cleaning in Quinns Rock and corporate cleaning service, your best bet would be the builders cleaning services- NCCS-Nooks & Crannies Cleaning Services. After builders construction or even a revamp or renovation, a detailed building clean in Quinns Rock and renovation cleaning has to be carried out. This is undertaken to remove all building material residue and debris and even though a builder cleaning looks manageable, it is often not as easy. That is why expert corporate cleaning service like NCCS is called up to carry out the after builders construction thoroughly and in a detailed manner so as to make the space liveable and people can move in immediately. Taking care of any type of builder cleaning in Quinns Rock is like a piece of cake for NCCS. This is owing to our exposure to after builder construction sites and its subsequent cleaning and the experience gained from actually working on many projects has made us well-equipped to take care of any type of resort cleaning and building clean there may be. We help declutter the space of any residual building material, dust, dirt and stains and we practically ensure that the space is in a perfect condition for anyone to move in. For any builder cleaning activities, our pricing is based on the type of property and the work involved. Not just this, the area and other parameters too figure before we arrive at a pricing. But whatever be it, we are competitively priced and most of our customers’ understand that our pricing is affordable and cost-effective. 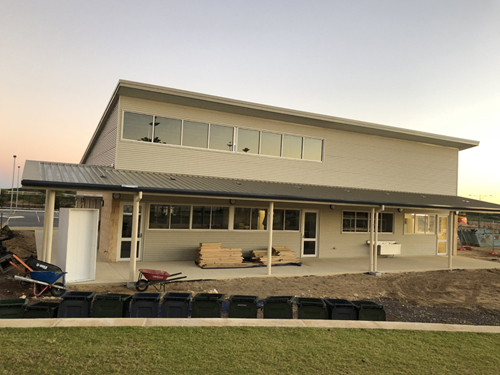 In the Quinns Rock, WA neighbourhood, if you need resort cleaning or building clean to be undertaken, then the builders cleaning services NCCS- Nooks & Crannies Cleaning Services is who you should reach out to. Call us on 0425 611 000 or email us at elsie@nccleaningservices.com.au / dave@nccleaningservices.com.au.